The stent market is a multibillion-dollar landscape where technological developments have led to more effective treatments that saved the lives of millions of patients. With the emerging trend of bioabsorbable technologies as a temporary therapy for obstructive vascular diseases, another giant leap has just been taken. To improve vascular treatment, current stent developments focus on combining the strength, flexibility and low profile of metal structures with the temporary nature of bioabsorbable materials. However, impossible as it may sound, the ideal stenting therapy would not only treat, but even heal the diseased artery. 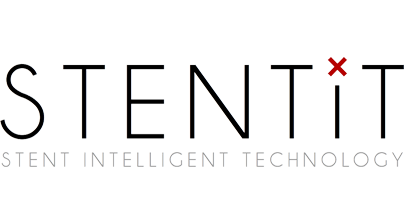 STENTiT developed a unique product, called the regenerative stent, which will be the only device on the market to bring vascular regeneration to the patient without requiring surgical procedures. Made out of a fully bioabsorbable porous structure, this product provides minimally-invasive support to the diseased artery and promotes healing from the inside-out by using the patient’s own cells to restore the vasculature. The vision of STENTiT is to provide the next generation in stent technology and become the preferred therapy for cardiovascular diseases. The cost of developing a new drug is £1.15 billion. Greater than 90% of drugs fail to make it to market but fail during the latter stages of the development process. This is due to poor, inaccurate models that do not predict toxicity. Our business proposition uses stem cell derived liver cells and a sensitive screening method to identify drugs toxicity. We transform stem cells into liver cells via a defined and patent protected protocol. Potential drugs are tested using these cells; if the drugs or the metabolites are toxic the cells will be damaged or killed. Using coloured tags we can identify how the compounds damage/destroy the cells. Ultimately we aim to significantly reduce the cost of bringing new drugs to market by identifying toxic drugs early in the drug development process. Our unique ability to deliver large quantities of cells reproducibly, gives us the capacity to screen large numbers of compounds, at a cost effective price. key parameters of the in vivo microenvironment. Moreover, these parameters vary between different tissue types. Therefore, it is crucial to provide individual cell types with cell-specific in vitro microenvironments. We have developed a proprietary technology to create modular biomimetic matrices that can be tailored to recreate a large variety of microenvironments for any cell type by incorporating biophysical cues and sensory information. In contrast to current solutions, our biomatrices are modular, biologically relevant, self-assembling hydrogels that are chemically defined and GMP-certifiable. We aim to reveal new avenues in research, enable challenging cell culture and facilitate standard cell culture practices for research institutes, SMEs and drug screening companies. 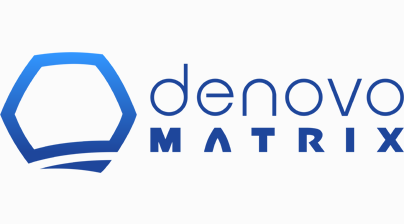 We are denovoMATRIX, a team with interdisciplinary expertise in biochemistry, material engineering, cell culture, and business administration. 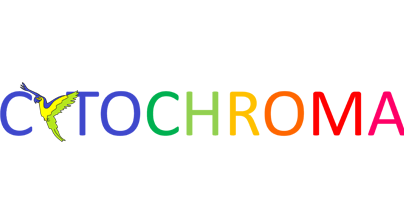 We are currently validating the technology and develop our products in an EXIST Forschungstransfer-funded project at Technische Universität Dresden. We aim to spin-off in 2018. At TERMIS, we wish to identify scientists to co-develop our materials as well as industrial partners for joint product development. Articular cartilage covers the articular surfaces of the bones and has a unique structure and composition which provide the joints with shock absorption and load bearing. It is particularly subjected to deteriorations and injuries. Cartilage has a very limited capability to repair itself, notably due to the lack of vascularization. The current gold standard for cartilage repair is the total replacement of the joint. Alternative and less invasive treatments have been shown to successfully reduce pain and improve joint function, but long-term results are unfortunately still unsatisfactory. As a spin-off of ETH Zürich, we want to bring the promising results of the research conveyed in Prof Zenobi-Wong’s laboratory to patients and we work hand-in-hand with orthopedic surgeons to develop the ideal treatment for articular cartilage lesions. Our unique bioengineered product is a combination of allogeneic cells and a hyaluronic acid-based biomaterial. 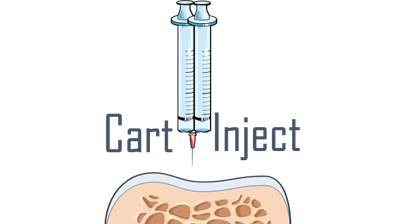 The use of an off-the shelf cell source allows a one-step surgery procedure, while the injectable and adhesive material permits a minimally invasive surgery and supports a fast, pain-free recovery of the patient. In the USA alone, 1.2 million patients are affected by cartilage injuries annually and we believe our product can address 500’000 immediately. Hydrogels represent a hugely important class of materials that are used in everyday items such as desserts and food pastes to high-tech biomedical applications in medicine, diagnostics and biotechnology. However a significant barrier to the realization of many high tech applications is a lack of control over the way hydrogels crosslink – i.e. transition from a free flowing liquid to a solid gel. This may sound easy, but this represents a profound challenge to achieve on the microscale and in a way that is compatible with sensitive molecules and biological cells. CLEX offers an elegant solution to this problem by enabling precise control over the speed of gelation and does so in a mild chemical environment that is friendly to living cells and can be tailored for specific high-tech applications. 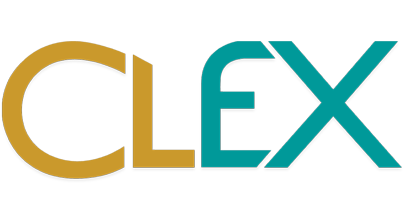 The vision of CLEX it to provide gel kits which are tailored for 3 key application areas: Microfluidics, 3D bioprinting and Injectables. This will significantly enhance the workflow of scientists working in these areas by providing gelation strategies of unprecedented control in an affordable and easy to use kit form.